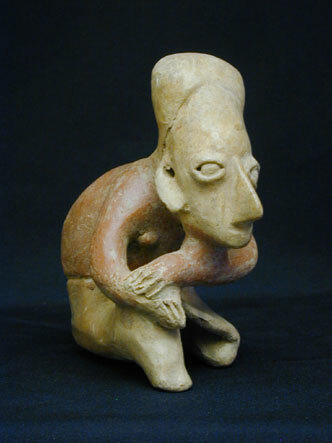 A crouching female figure or "Thinker" in the Ameca style. Height approx. 6 inches, depth approx. 5.5 inches.